My wife and I went to Singapore last week. We stayed in South East Asia Hotel for this trip. 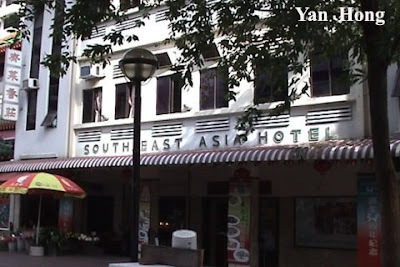 South East Asia Hotel is located at 190 Waterloo Street. Waterloo Street is flocked with tourists day and night. It's coincident that at this particular time the community around Waterloo Street is celebrating Dumpling Festival. 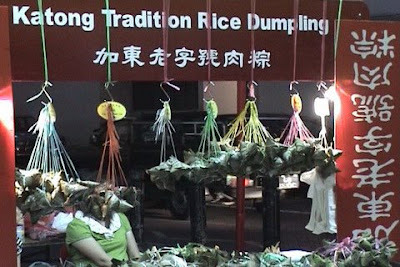 The Dumpling Festival celebration is from 29 May to 8 June. 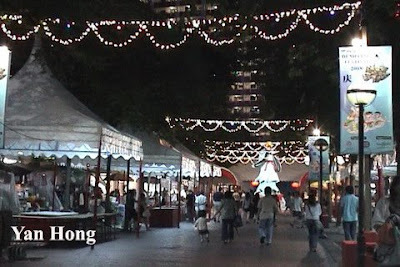 Waterloo Street is brightly lighted at night. There are stalls selling dumplings along both sides of Waterloo Street nearby South East Asia Hotel. I couldn't resist the tasty dumpling, so I bought two dumplings and shared with my wife. We enjoyed eating the dumplings with lipton tea in the hotel room. SG dumpling same with Msia boh? ?